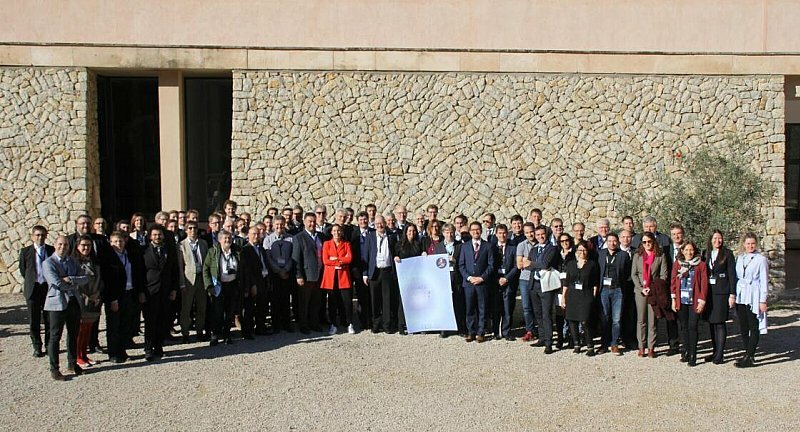 ECA2030 was a 2 day roadmap workshop where discussions about next evolution cycles and technology gaps to pave the way for electric, connected and automated car for the 2030 customer (ECA-cars) took place. 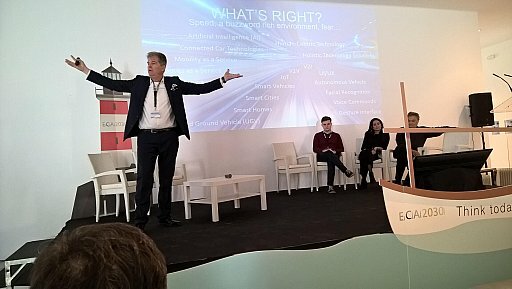 During the event speakers from H2020 and ECSEL projects AutoDrive, 3Ccar, OSEM-EV, SilverStream, STEVE, PRYSTINE, EMC2, CRYSTAL, eDAS, Luftstrom, ENABLE S3, DEMOBASE were asked to share their innovative views and stimulate a new way of thinking, which will lead us to the revolution of mobility. The first day of the event started with an introduction into ECA2030, its purpose and concept. The purpose of ECA 2030 was presented from two points of view. Firstly, technical perspective, it was considered that future vehicle must meet requirements such as- affordability, efficiency, cleanliness, safety and availability. Secondly, the ECA 2030 purpose from human perspective focused on personal freedom and meeting human social needs. Continuing the first day, several speakers presented goals and expectations of Lighthouse Mobility.E initiative. The main goal was described as an expectation to significantly increase the results of ECSEL research projects and develop collaboration between the projects, so it facilitates the cooperation with other European initiatives and creates an overall sustainability. Then, six focus areas in mobility E., also, named as 6 urgent priorities (6UP‘s) were highlighted, in regards to these priorities all participants were asked to share their thoughts on interactive posters, expressing their own perspectives on what are the most important features in terms of autonomous driving. 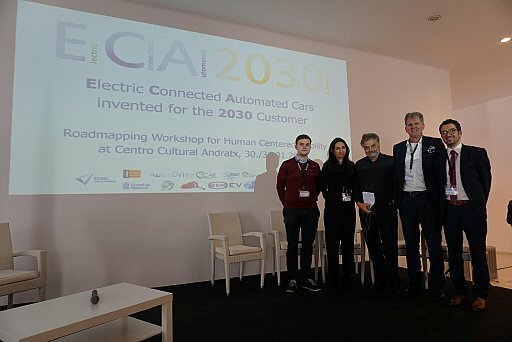 Following an introduction into the main ECA2030 concept and purpose as well as Lighthouse mobility initiative, the attention of the audience was drawn to topics such as- design for mobility, mobility for the ageing society, expectation on “my” future car, and “brain to drive”. Mainly, the speeches highlighted the design of the future mobility which cannot afford to become plain-looking, otherwise, people will lose their interest and satisfaction in driving; concern of the older generation’s mobility and its needs, where it was claimed that the number of elderly people in the near future will significantly increase and it is a must to adopt technologies to make older generation’s mobility easier. Also, the expectations were raised about the artificial intelligence and where it will bring people in the near future and how it is going to work in comparison to the current artificial intelligence techniques and mechanisms. Another inspiring topic was about forthcoming driving revolution, where few main highlights was mentioned. 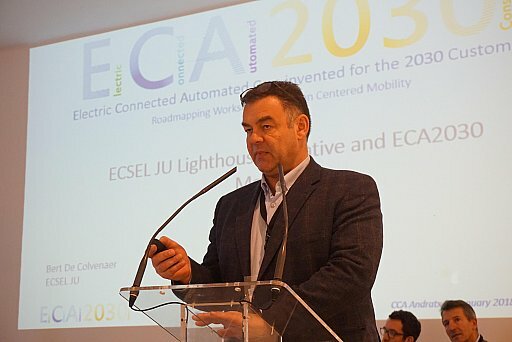 Starting with the future mobility and that it will be electrified, connected, automated and multimodal; zero accident driving will be targeted by vehicle and infrastructure (V2X) measures; cross domain development along the value chain is needed to develop economic solutions; importance of software will strongly increase in automotive industry; and ending with the statement that the legal security for customers and companies will be needed as prerequisite. Moreover, there were presentations about growing importance of new technology regulations and legislations, as well as European green vehicles initiative contractual PPP (public-private partnerships) where the main aspiration is to deliver green vehicles and mobility system solutions by adopting and implementing alternative/ lightweight materials, alternative fuels and energies, advanced materials, equipment and nano/micro technologies. The second day started with even more involving and interesting discussions. Representatives were talking about the state of today’s auto industry which is facing very rich and complex phase. The contribution of evolutionary, revolutionary and disruptive key trends need to be wisely managed. The discussions continued with the role of sensing technologies and new generation communication (fifth-generation (5G) wireless technology) integration in ECA vehicles. 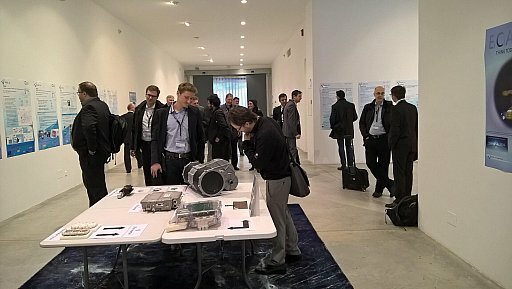 Later on, there was a discussion on methods, techniques, tools and processes required for homologation and standardisation of autonomous vehicles and its systems. Furthermore, future mobility trends for electric drive systems were presented, as well as new possible solutions for wide-bangap (WBG) devices for better application performance at higher voltages and temperatures. Finally, the second day concluded with a debate about solutions and what kind of smart mobility infrastructure is needed for harmonious integration into society and environment. To sum up, during the two days full of inspiring and informative speeches, the participants were able to share their knowledge and discover different points of view towards the autonomous driving. The speakers drew the attention to the most important parts of this revolution to be considered – different generations and their needs, design and its importance, and making this product attractive, reducing ecologic footprint and increasing an overall quality of life. The conference could be considered a success as every participant discovered and gained something new and innovative, which will be used towards further development of their ideas, as well as bringing the population into the new era of mobility.